Deke McClelland says that, "Creating a beautiful black-and-white image can be very satisfying and relatively easy to do. 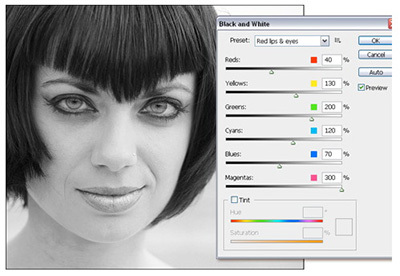 With Photoshop CS3, you can rob your pixels of color in Photoshop CS3 in many ways, from the classic Channel Mixer to the new Black & White command and Camera Raw’s Convert to Grayscale check box. Happily, each one of these functions put you in charge of the color-to-grayscale conversion process." In his latest dekeBytes titled, Black and White Options in Photoshop CS3, he shows you how to take your color images and transform them into glorious Black & White.